For everyone that visits Nozawa Onsen in Winter it is hard to believe under all that snow Nozawa is very green and just as much fun! Nozawa is already well on the adventure map for people over winter and we get skiers and boarders from all over the world visiting in the snowy months. However come the green season and Nozawa is still a fairly quiet farming village. 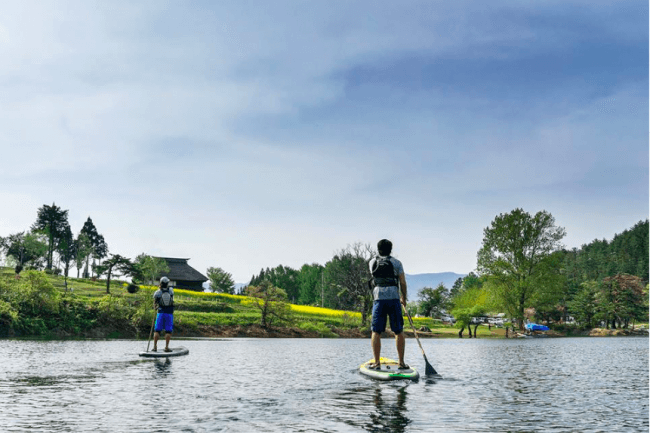 There are however lots of great activities and beautiful nature to be enjoyed in Nozawa year round and each year there seem to be more as the region is gradually getting discovered as a year round destination. Nozawa has 4 very distinctive Seasons, Winter, Spring, Summer and Autumn and all have a different feel and different aspects to enjoy. Get into the great outdoors and hit the mountains on foot Hiking or Trail Running. We have some beautiful trails rising up out of the village into the surrounding mountains. 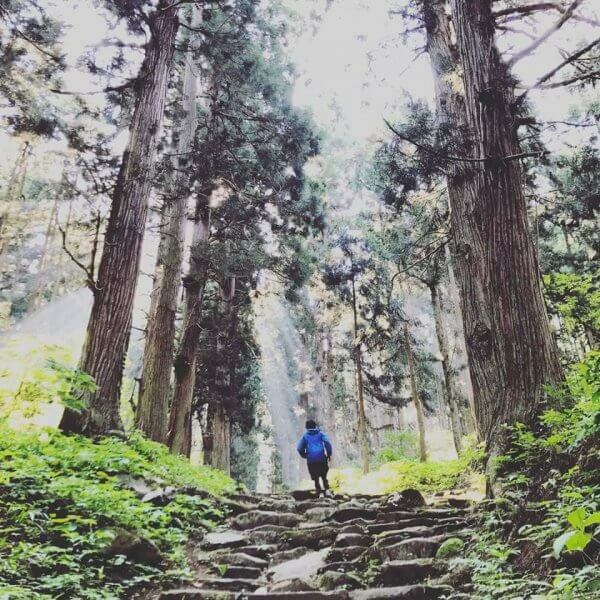 A few favourite hikes are one leaving from the North of the Village next to Shinyu Onsen that winds up the mountain via shrines and gives great views back over the village. Another great one is to grab a bike and ride around nearby Hokuryuko Lake to an amazing Soba Restaurant from there you can climb big stone steps up to a beautiful temple. 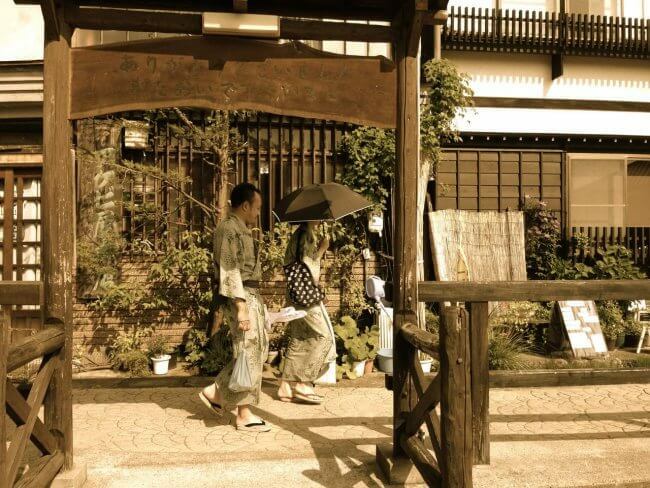 If feeling “genki” you can walk the whole way from Nozawa Onsen. Ask the staff at Nozawa Holidays or the Tourist office for maps and information. Biking in Nozawa either Road or Mountain is amazing and at the end of the day there are 13 Free Onsens to soothe the body in! 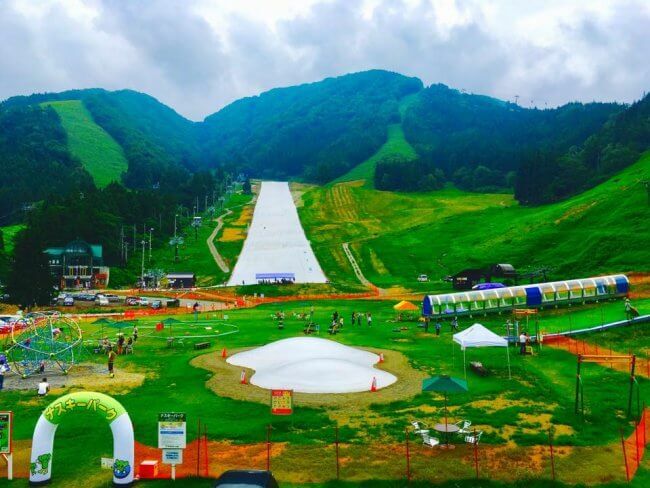 The New Nozawa Onsen Sports Park in full swing this Summer with Summer skiing, Zip Line and awesome Kids Park. Summer Skiing and the Nozawa Onsen Sports Park. There is also the Olympic Park over the other side of the village near the Karasawa Slopes. It was built for the 1998 Olympics and home to a fantastic Cross Country Skiing Track in Winter. In summer it has lush and spectacular Soccer Fields, a large gym for training, tennis courts with mountain views and a Golf Driving range all nearby. There’re also some excellent Golf Courses only a short drive away at Madarao and the Country Club near Iiyama at surprisingly good prices. Nozawa Onsen history dates back to the 7th Century, it is steeped in tradition and that is all part of the charm of this quaint mountain town. 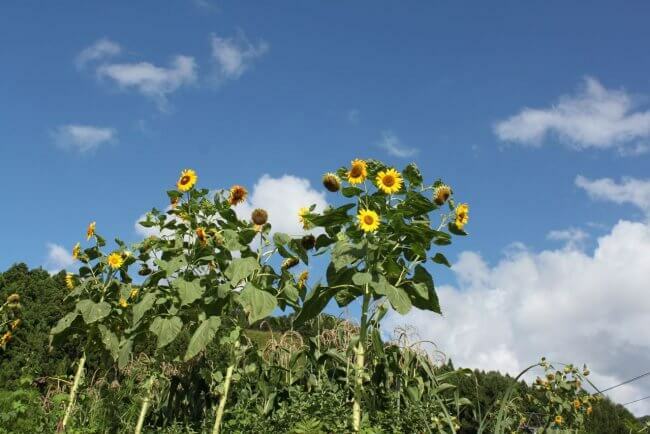 Nozawa Onsen is a farming and onsen town that has evolved over centuries. It has an interesting history and lots of intriguing corners to discover and locals to meet. Visit the Ski or Cultural Museum, marvel at the locals cooking vegetables at the Ogama outdoor Onsen, wander thru the various temples and shrines scattered throughout the village, soak your feet in the foot onsen and enjoy the sunsets. It is a place where you can do a lot or nothing at all! 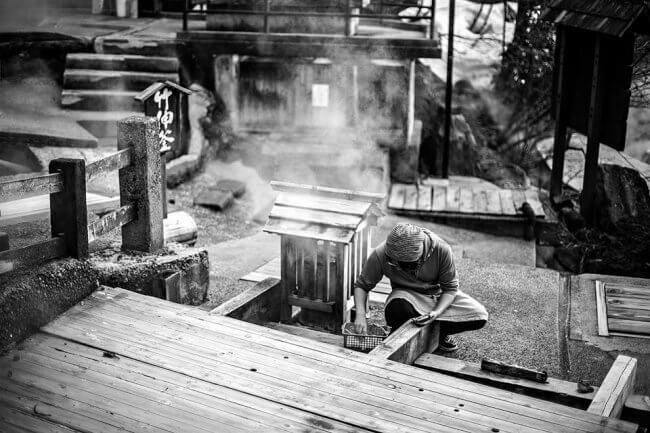 Chill out or Warm up the choice is yours with so much water hot and cold flowing through Nozawa Onsen. This stream my favourite just behind Nozawa House. 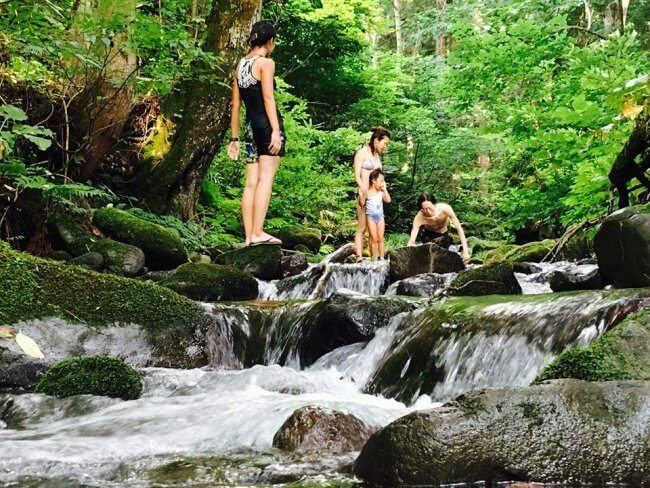 Hot Onsens and Cool Creeks – Take a dip! 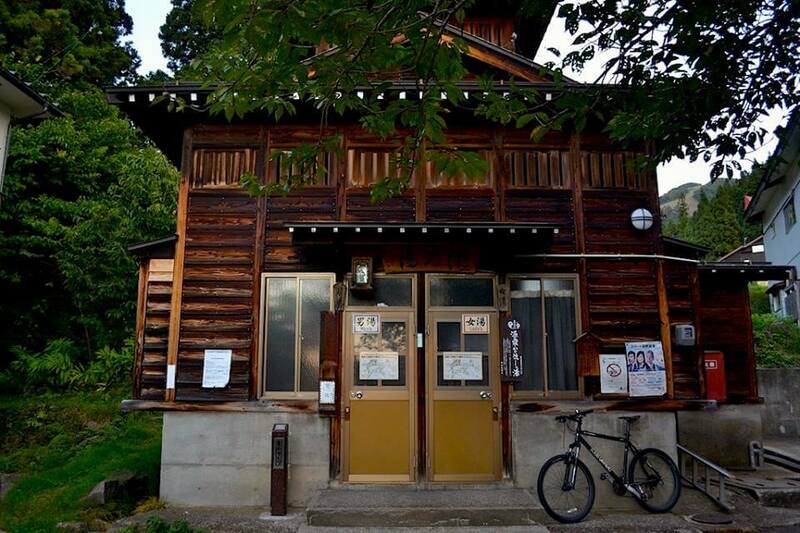 Nozawa Onsen is naturally famous for its Onsens or Hot Springs and we have 13 free public onsens strategically located around the village all housed in traditional Japanese style bathhouses. They are the perfect way to end the day if have been out biking or hiking. Combine it with a dip in one of the cool mountain springs and your skin will never feel so alive. If a pool is more your speed we have the amazing Sparena Complex with an outside pool in Summer and Outdoor Onsen all year round. 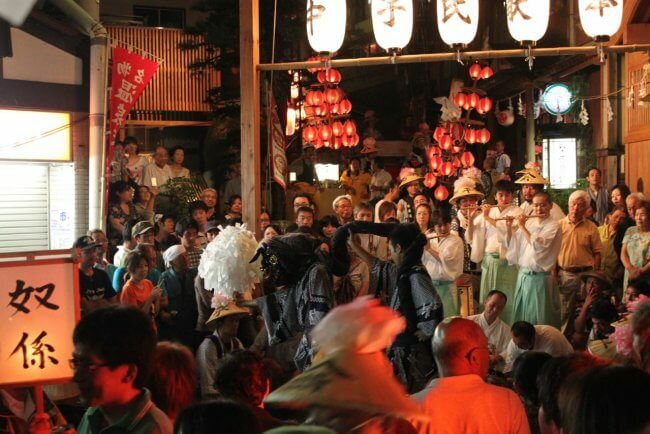 Japan and Nozawa Onsen do Festivals well! This one of my favourites the Lantern Festival held in September every year. If you miss it there are a few very similar ones put on by the local areas before and after the main event. Another very cool food festival is the “Take no Ko”or baby bamboo festival that is on for most of June and the centre of town is transformed into a Night Market. 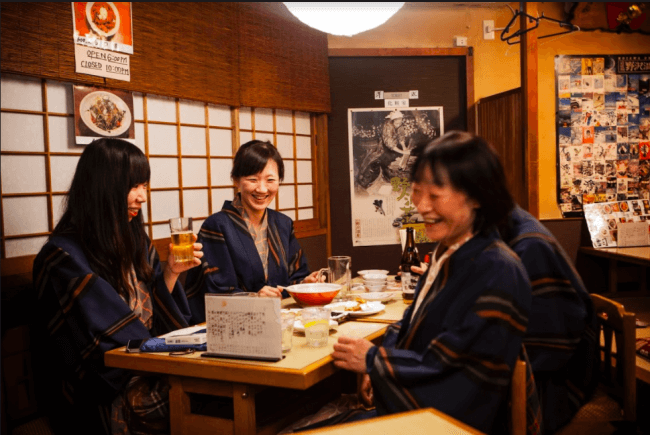 For a small town of only 3500 inhabitants Nozawa has some amazing eating options. All the fresh produce and creative minds makes for some memorable meals.